On this day tour we discover the beautiful landscape opening up between the volcanic mountains and the Atlantic ocean in southern Iceland. On this day tour, we discover the beautiful landscape opening up between the volcanic mountains and the Atlantic ocean in southern Iceland. 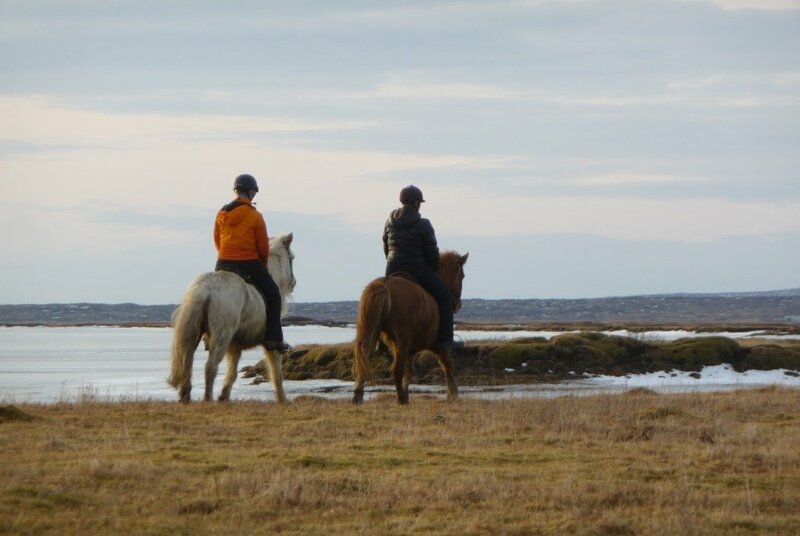 We begin the tour on nice riding trails along our meadows which are ideal for trying the special gait of the Icelandic horse, tölt. We then follow the river Gljufura to an old cemetery close to the mighty glacial river Olfusa, where we enjoy the panoramic view of the river delta and the famous volcanoes Hekla and Eyjafjallajokull, weather permitting. A grassy path takes us further down to the soft, black lava sand on the river banks and through shallow water to the green island Lambey. On our way, we have good chances of seeing various kinds of birds living in the wetlands of the nearby bird sanctuary. We stop for a lunch break out in nature before continuing through farmland towards mount Ingolfsfjall, a table mountain named after the first settler of Iceland, Ingólfur Arnarson. An old Viking path takes us along the mountain Reykjafjall, where both sheep and horses graze in the summer. On the way back to our farm Vellir we have a nice view over the surrounding area and the village of Hveragerdi. Awaiting us back at our farm are coffee and home-baked cake. During the winter season, the tour is slightly changed. 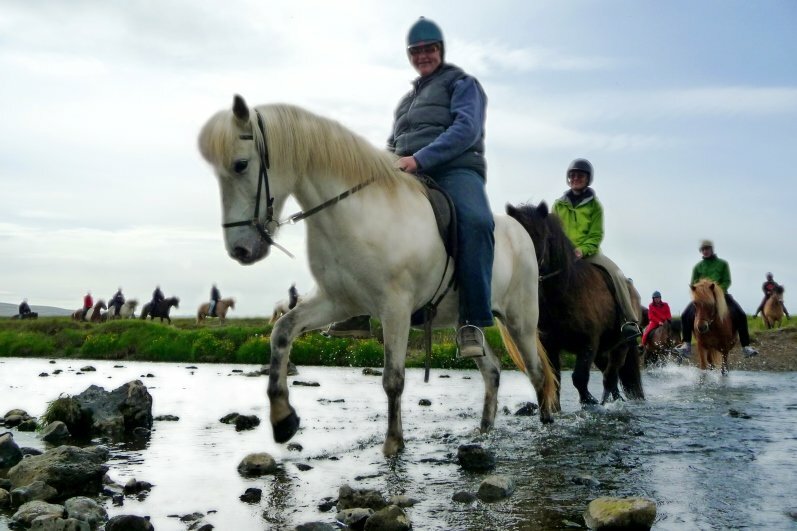 We ride all the way down to the river banks and then return to our hotel for steaming bowls of traditional Icelandic meat soup before continuing our ride towards the mountains. Please note: This tour is for everyone but participants should be in good physical condition and must be able to mount a horse with little assistance.The tour is subject to weather conditions and might be changed. Included: 5-6 hours riding with stops (ca. 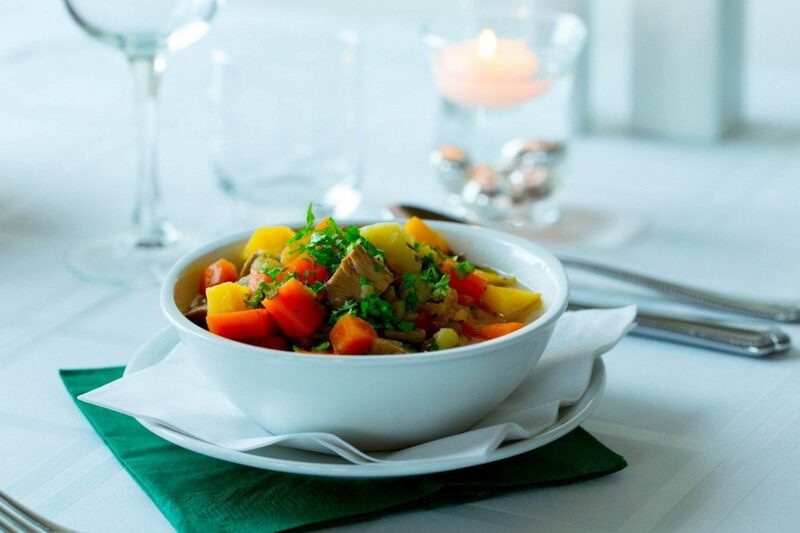 20 km) and lunch (lunch box with sandwich, cookies and water bottle or meat soup during the winter season, special meals are available on request). Hotel pick-up in Reykjavik every day between 8:00 and 8:30. Return to Reykjavik ca. 17:15. This tour is available all year round, starting at our farm at 9:00. 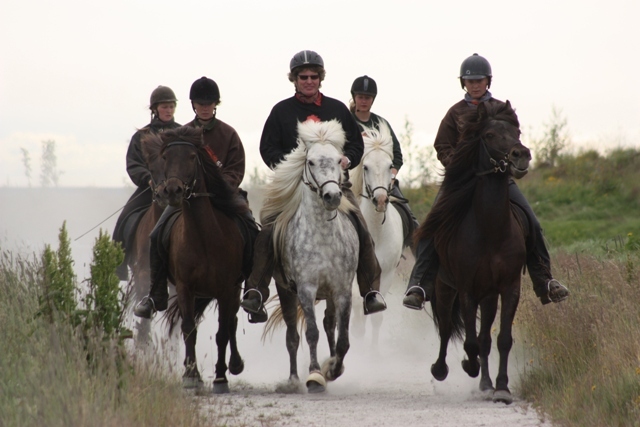 Experience a variety of scenery and impressions on the horse riding by hot springs tour. 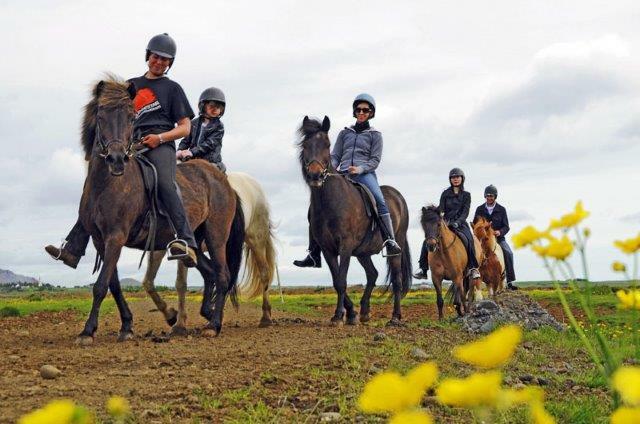 Snorkeling and Horseback Riding is a perfect combination for those who want to experience a great outdoor day in Iceland. Hike up the geothermal valley of Reykjadalur & get the chance to bathe in the water. 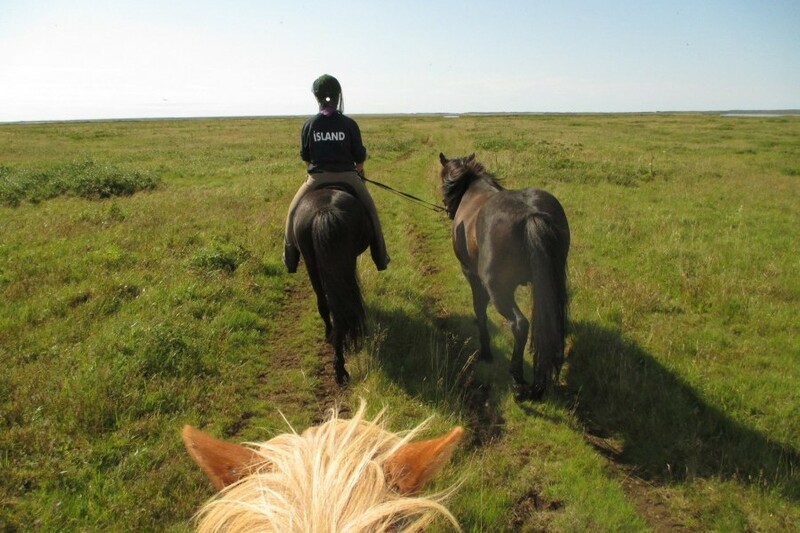 Afterwards ride Icelandic horses in the beautiful countryside.